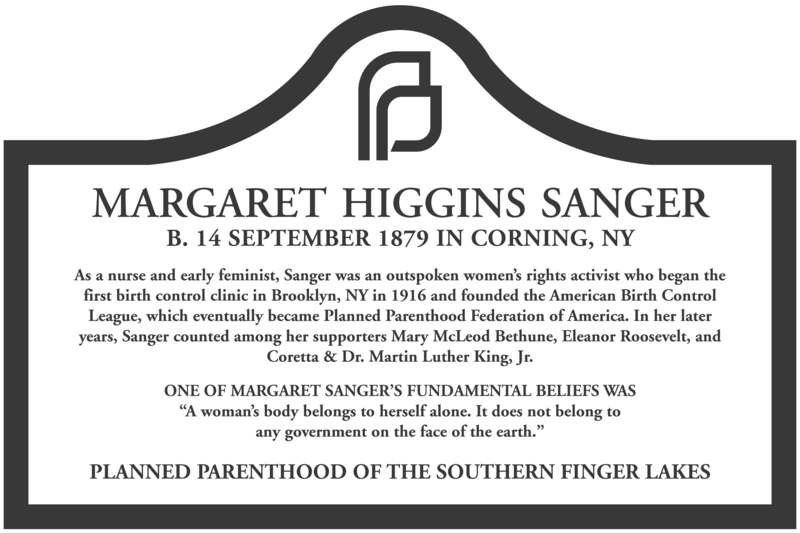 Margaret Sanger, the founder of Planned Parenthood was born in our very own Corning, NY. Help us commemorate her with a historical marker! Be one of the 100 donors we need to reach our goal! In honor of our Centennial, we're hoping to get 100 donors to give $25. However, we are grateful for whatever you'd like to donate. Please make a gift so we can memorialize this influential member of our community!